The Bavarian government commended WACKER for its policy of workplace inclusiveness. Johannes Hintersberger, State Secretary at the Bavarian Ministry of Social Affairs, presented Wacker Chemie AG with the “Inclusion in Bavaria – We Work Together” emblem. 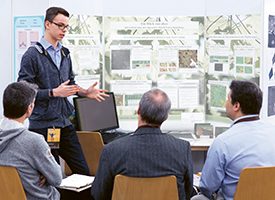 At the Bavarian Young Scientists Competition, which WACKER sponsors, 79 budding scientists presented their scientific and technical projects to a specialist jury in Munich. WACKER acquired a production plant for biopharmaceuticals from SynCo Bio Partners Luxembourg S. à. r. l. The new subsidiary, Wacker Biotech B. V., is based in Amsterdam. WACKER opened a new production site for silicone elastomers in Jincheon, South Korea. The new plant manufactures silicone sealants and specialty silicones for the electronics industry. 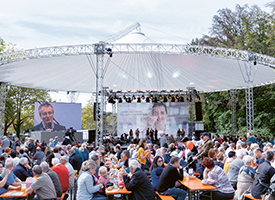 The Bavarian government recognized WACKER as a family-friendly company. Participating in the state’s “Successful. Family-Friendly” corporate competition, WACKER was commended for its exemplary support in reconciling family life and work. Following the loss event at the Charleston, Tennessee (USA) site in September 2017, WACKER gradually began ramping up the production facilities again. WACKER is also constructing a new plant for pyrogenic silica there. WACKER joined the “Familienpakt Bayern” network (Family Pact Bavaria) of the Bavarian government and Bavarian industry. By doing so, the company underscored its goal of promoting a family-friendly corporate culture. Bavaria’s Premier, Dr. Markus Söder, visited the Burghausen plant. He was met by Dr. Peter-Alexander Wacker (Supervisory Board chairman), Dr. Rudolf Staudigl (president and CEO) and site manager Dr. Dieter Gilles. They explained Burghausen’s importance as the oldest and largest site in the Group’s production network. 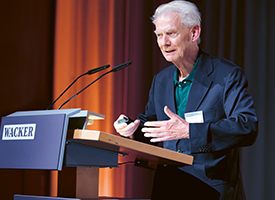 At the European Silicon Days in Saarbrücken, Dr. Herbert W. Roesky, Emeritus Professor of Inorganic Chemistry at the Georg-August University of Göttingen, was presented with the WACKER Silicone Award for his work on low-valence silicon chemistry. WACKER BIOSOLUTIONS began producing fermentation-generated cystine at its site in León, Spain. Germany’s chemical industry opened its gates to the public. WACKER opened its Burghausen and Nünchritz sites and Munich-based central research facility for the event. More than 25,000 visitors turned up. WACKER presented the Alexander Wacker Innovation Award in the product-innovation category to two Burghausen-based chemists. They developed binders for producing especially high-performing adhesives, sealants, wood varnishes and coating materials. 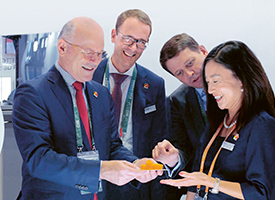 At the China International Import Exhibition (CIIE) in Shanghai, WACKER’s booth attracted numerous visitors interested in new technologies such as 3D printing with silicones. WACKER Executive Board members Dr. Rudolf Staudigl and Dr. Christian Hartel were there, welcoming guests such as Christian Hirte, Parliamentary State Secretary at Germany’s Federal Ministry for Economic Affairs and Energy.